Livestream All 4 Days of LOCKN' 2016 for Free! Livestream All 4 Days of LOCKN’ 2016 for Free! Yes, you heard that right! 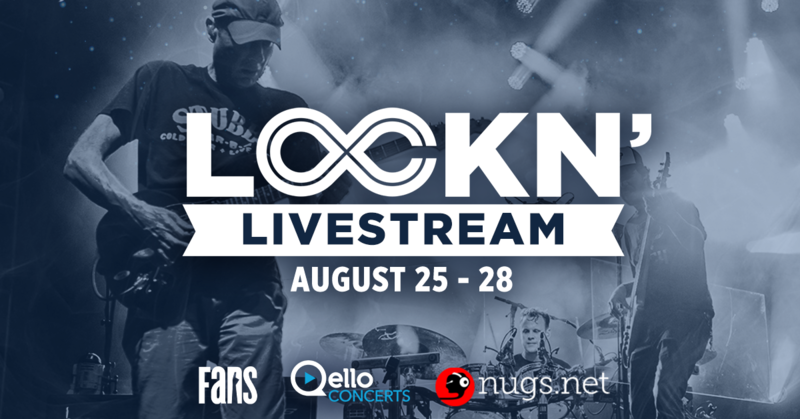 We’re thrilled to announce that we’ll be livestreaming all four days and nights of LOCKN’ 2016, sponsored by FANS.com and powered by Qello Concerts and nugs.tv, so you can enjoy the festival from anywhere you have an internet connection. Get ready: we’ll be streaming sets from your favorite LOCKN’ artists including Phish, My Morning Jacket, Ween, Phil Lesh & Friends, and many more – find the full livestream schedule here. Jam out in the comfort of your living room, or quietly rage from your laptop while you’re at work (we won’t tell). However you do it, you’ll have a front row seat to four days of live music magic. If you can’t make it out to this year’s LOCKN’, don’t worry, we’ve got you covered. For a full livestream schedule and more information on how to watch, visit here. Happy streaming!